What this means in practice is that the device would “fake” being turned off if it receives the wrong security code a certain number of times, and would periodically transmit location data. While this should help track down stolen devices, the patent raises privacy concerns. A recent experiment by researchers at Stanford University and an Israeli defense contractor revealed that Android phones can be reliably tracked by their power consumption, without the user’s consent. The tracking feature may be an added security measure for future generation iDevices. In December 2014, the company patented a laser-beam mapping technology currently in use by scientists and law enforcement officials. Though Apple has avoided spelling it out, the technology might also enable 3D renderings. Earlier this month, Apple also filed a patent for a virtual reality headset, intended to accommodate a future model of the iPhone. Smartphone theft has been on the decline over the past two years, thanks to the introduction of “kill switch” safeguards. 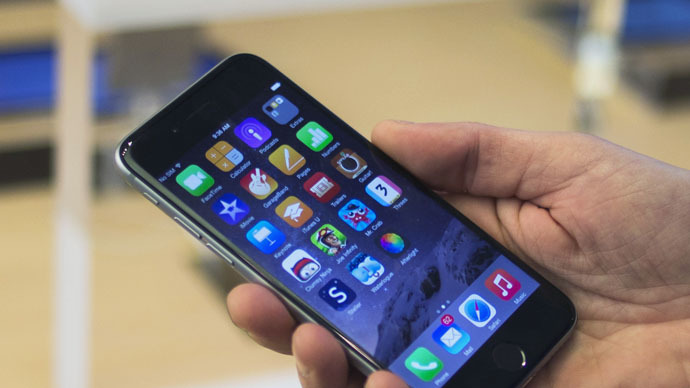 Apple introduced a feature to remotely disable iPhones in December 2013, as part of its mobile operating system iOS7. Google and Microsoft followed suit in June 2014. After initial objections citing costs and customer support issues, wireless service providers have changed their minds and pledged to implement “kill-switch” type solutions by mid-2015.